Allterra was founded in 2004 by brothers James and Nathaniel Allen. Allterra began as an environmental engineering firm that investigated and remediated dissolved contaminants in groundwater. In Allterra Environmental’s short history, it successfully investigated and closed 30 groundwater contamination cases in the SF Bay Region. In 2009, Allterra launched its solar division to accelerate the adoption of renewable energy on the central coast. Allterra’s unique data-driven approach and unparalleled customer service have fueled the company’s success. In 2012, Allterra Solar was the runner up for Best Solar Company in the annual Good Times readers poll. Starting in 2013 Allterra won Best Solar Company and has not relinquished that title. Subsequent awards include Winner Readers Choice for the Santa Cruz Sentinel in 2014 and 2016, Best Solar Company 2017 by readers of the Monterey County Weekly, Best Place to Work in Monterey Bay by Monterey County Business Council and the 2015 Cool Climate Leader by California Air Resources Board, and award earned by only five other companies in California. Allterra is certified Small Business (DSG #1568700) in California and an active participant in Think Local First and other Local Business Organizations promoting small independently owned organizations. We are focused on the Central Coast of California; home to our staff, clients, and owners. (A, B, C-10, C-46). We pride ourselves in the quality of our designs, products, and workmanship. You can trust us to thoroughly explain the benefits of each of these elements, and why they must each be carefully considered in each installation. 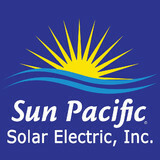 You’ll see why we are one of the longest running solar companies in fresno, serving the valley since 1992. 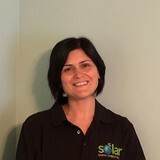 I Love My Solar is privately owned and operated by Mark and Christina Danenhower. Mark and his wife, Christina, were both born and raised in California and they love the beauty in California. Mark has a passion for the mountains and Christina is happiest on a lake or by the ocean. Both are conscious to do their part in keeping the earth beautiful without losing the comforts of a modern lifestyle. When they installed solar panels on their home in 2004 it felt so good to have peace of mind that they could live in comfort and without fear of their PG&E bill. Now they consume clean energy and they enjoy free electricity. Mark and Christina are dedicated to helping others live in comfort and take control of their energy costs by making the switch to solar. I Love My Solar is a licensed and insured C-46 Solar Contractor and B General Building Contractor, and Roofing Contractor California Contractor’s Number: 1028965. Mark Danenhower is NABCEP certified. I Love My Solar specializes in custom solar power solutions. I Love My Solar invites you to Love solar also. We want you to enjoy the switch to solar and to live in comfort and without fear of your electric bills. 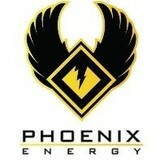 I Love My Solar gives you the power to utilize clean energy and enjoy free power from the sun. It is our passion to provide you with outstanding customer satisfaction and service in every aspect of your solar panel installation. At Phoenix Solar Energy, we strive to ensure that solar power solutions are easy and affordable options that help both homeowners and businesses save money. As your solar contractor, we make it our priority to meet your needs and provide the highest customer satisfaction. We're a local business dedicated to meeting the needs of our own friends, families, and community members, and to improving lives in our own local areas. Everything is done in-house and with a focus on improving the local economy, as well, which leads to better lives for us and for everyone around us. Additionally, we have more than 15 years of experience and offer the best warranty in the area with a 25-year warranty on both workmanship and products. Contact us today and learn how you can save money. Since 1987, long before renewable energy was a buzzword, we have been pioneers of the clean energy movement. Our goal then and our goal now is the same: to make renewable energy an everyday reality for American homeowners. Green Solar Technologies was created out of a need to provide high quality American-made solar systems at unbeatable prices and for over 25 years we have been a leading installer of Residential and Commercial Solar systems nationwide. We use only the best American-made products and are proud to help keep our fellow Americans working. As a leader in the development, integration, and financing of solar energy systems, we have formed long-standing relationships with our partners and because of the sheer volume of our business, we are able to pass on unbeatable value to you. Advantages of Going with Us Experience – Since 1987, we have been a leading installer of residential and commercial solar systems nationwide. One-Stop Shop – We design your custom system, get all the permits, and install your system. We also help you with financing and making sure that you get all your rebates. We handle it all so you don’t have to Quality Products – We use only the best American-made products. Our panels are made by Solar World, America’s largest solar manufacturer since 1975 and our microinverters are made by Enphase. Enphase microinverters come with a monitoring system to ensure that your system is working at maximum efficiency. Great Value – Our long-standing relationships with our partners, coupled with the sheer Volume of our business ensures that you will get the best value for your money. CA Home Solar provides a complete, A to Z, home and commercial solar system installations. We are your solar panel contractor in the Los Angeles area with a great reputation and 36 years in the business, so you are in good hands! 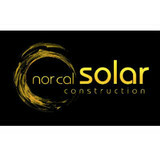 CA Home Solar is the daughter company of ATA Contractor Remodeling, which has been in business since 1978. We opened our solar division after recognizing the need for skilled, experienced, and certified installers of solar panels in California. California Home Solar mission is to install only solar power systems that are the most efficient in the market, with the latest technology. We are committed to each customer, to quality installations, and to making going solar an effortless experience. 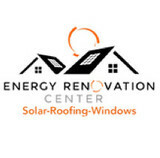 Are you interested in powering your California home with solar energy? Whether you want to lower your electricity bill or help the environment (or both! ), hiring a California certified solar energy contractor is a smart first step to getting off the grid and getting into energy conservation. Solar energy professionals in California can evaluate your needs and design, install and maintain the best renewable energy system for your home. Along with off-grid solar, wind and hybrid energy systems that include batteries and backup generators, there are also grid-tied solar and wind operations. Grid-tied systems are attached to your California utility company so if you produce more energy than you use, your meter goes down and you build up energy credits. Find solar energy contractors in California on Houzz. Search the Professionals section for California solar energy contractors or browse California photos of completed installations and look for the solar energy contractor’s contact information.